This was a part request, part wish I had this for a sim from a friend and I decided to give it a go. 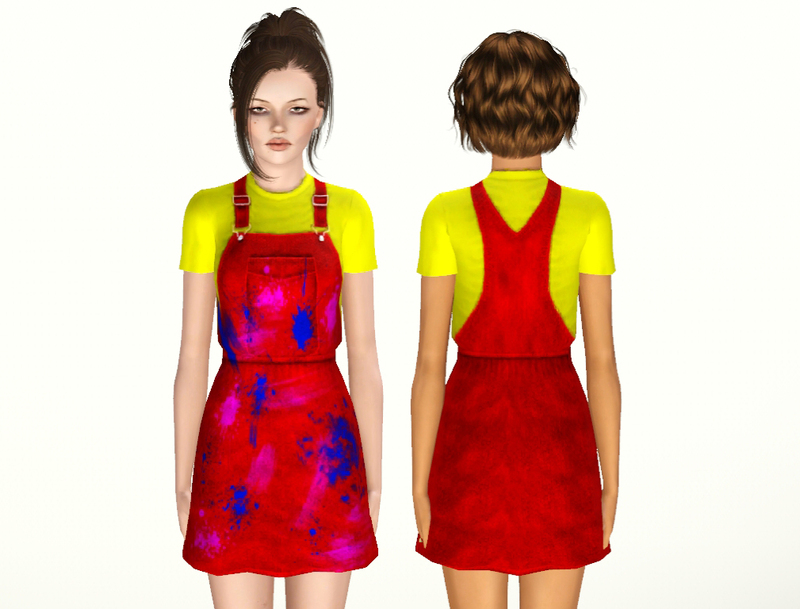 It's a painters overall dress with recolorable paint splatter details. 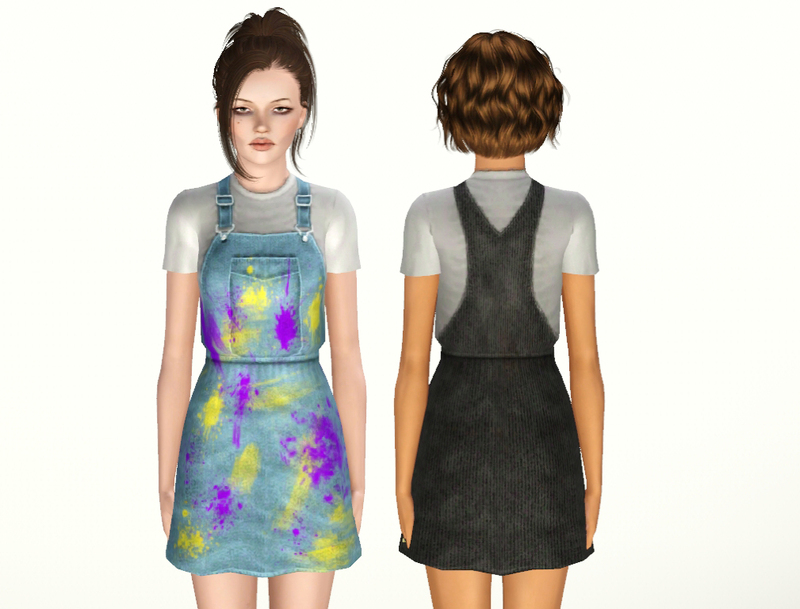 If you don't want the paint splatters simply make them the same color/pattern as the dress. Made with a mixture of EA textures. Comes in presets shown and has 4 recolorable channels. They are great. All your stuff is pretty great. Thank you very much! Can you please tell me where I can find the short hair of the brunette? Really cool! Can't wait to have it in my game. The creatures of the night - and there’s a little place in the town, I hear - where if you stay long enough you can see them in action, watch them feed. Are you brave enough to find out? In a town where nothing is certain, where no one is truly safe.